Folder management in windows Laptop and Desktop is very easy. So users can easily use important feature related to Data privacy store on windows machine. 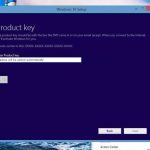 Just like lock Folder on windows 10, Hide or Unhide hidden folder on windows 10, windows 8 or 7 without any software. It’s very useful that make your public data profile secure from unknown users and also help to find system files and folders from logical or physical drive. 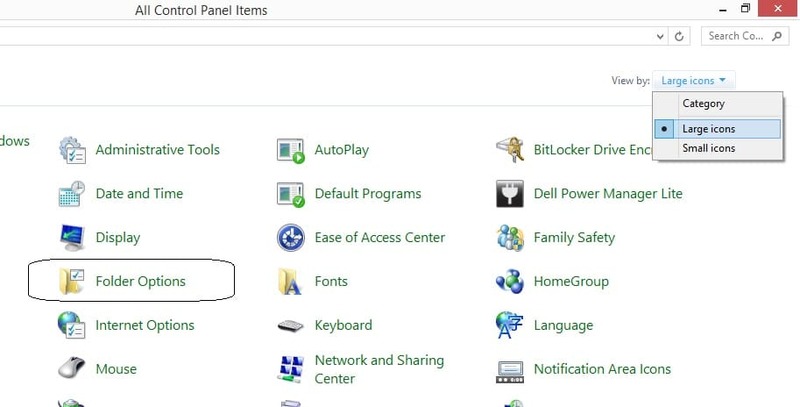 There is two tricky ways of access folder settings from windows folder pane. 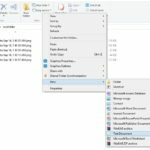 By hiding single folder you can completely hide whole folder directory from system. That neither visible in side my computer or Files/ Folders Search function. Alternate ways are given to access hidden files and folder on windows 10, windows 8 or windows 7. Open folder on PC/ Laptop from where you want see all hidden files and folders within specific directory location. Next, Click on “View” From top folder tab. Last options for settings are gives in the same pane. Click on it or Arrow options > Change folder and Search options. From folder view options, Click on View from there tabs inside the popup. 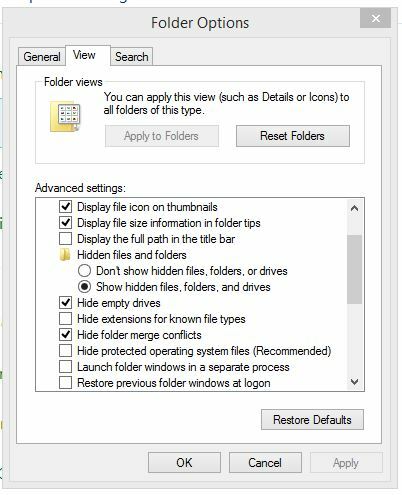 Scroll “Advance Settings” pane and Find: Show hidden files, Folders and Drives should be enabled or Hide Protected Operating System files (Recommended) that should be Disable or unchecked. That’s it. 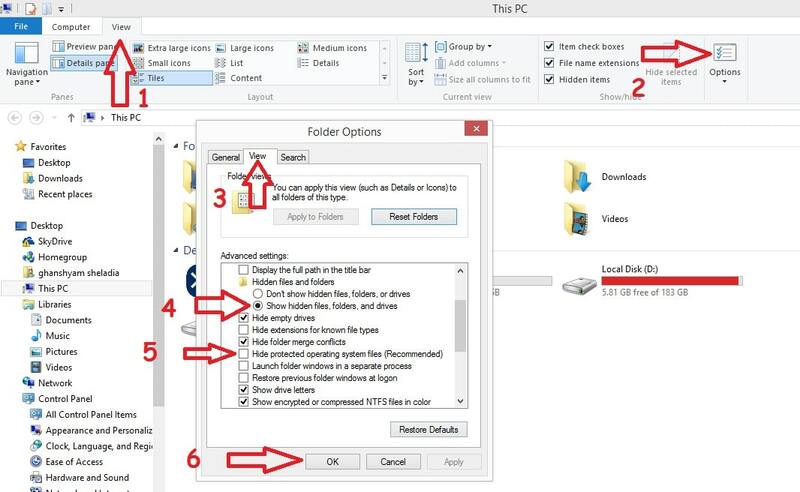 Repeat same process where you make Hide or unhide hidden folder on windows 10, Windows 8 or 7. Once you make, it will not auto apply to all folder locations. Please verify it where you need to show hidden data. Open control panel from search bar or Windows 10 start menu. Now you can easily see settings option for file Explorer Options. From folder popup option, Views > Enable Show files, Folders and Drives > Apply/ OK. For check instant updates. Some system file will be always hidden due to privacy reasons. So please revert all changes as of earlier in system files or folders. Please share and comment on any problem found on Hide or unhide hidden folder on windows 10, windows 8 or 7.